I found these awesome vintage chairs at my local thrift store and was so happy to take them home with me for five bucks each. What I was not so happy about was how the finish completely came off when I scrubbed them down with soap and water. What the heck, right?! I'm probably one of the most stubborn people you will ever meet, so there was no way these chairs were going to beat me. After doing some research, I decided the Dutch were going to lend some help and what started as a problem actually made the chairs better in the end. 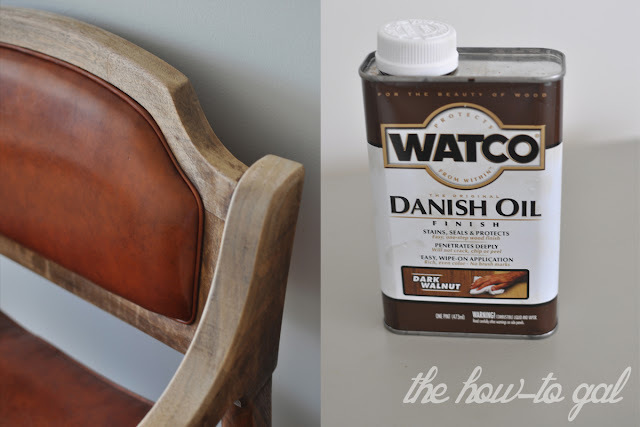 A side-by-side comparison of what a little Danish oil can do to some thirsty wood. Make sure your wood is free of any coatings. As mentioned, somehow soapy water did that for me. If you are not so lucky, you will need to strip your wood or start with raw wood. There are many different brands of Danish oil, but I purchased the Watco brand at Home Depot in the Dark Walnut finish. I love a dark wood grain. Per the instructions, flood surface using brush or cloth. 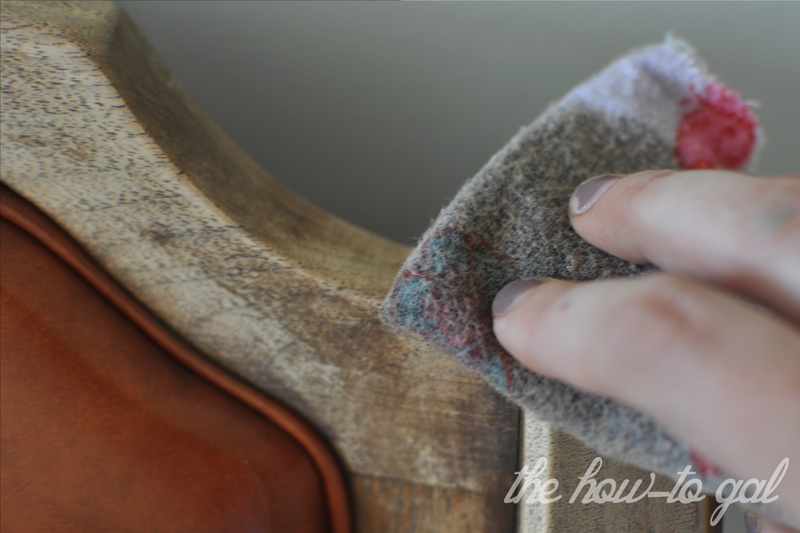 Applying it with a cloth seemed easier for me because of the vinyl upholstery. Forever ago, I had an old flannel sheet I ripped into squares that are prefect for this sort of thing and all my projects. They are great because I can just throw it away after. Wait 15 minutes and rub any excess liquid off that did not soak into the wood. You want your surface to be completely dry when all is said and done. Gotta love it! 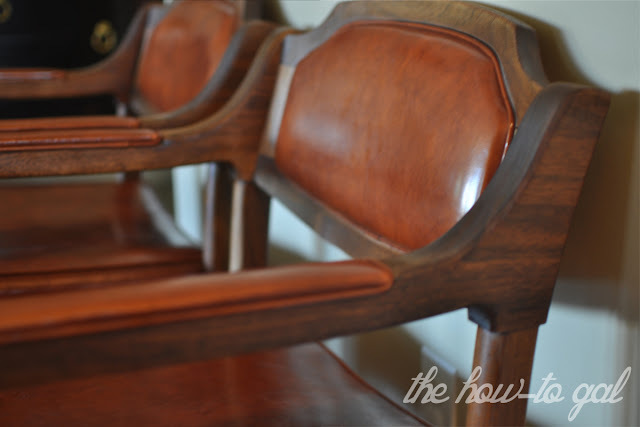 The quickest furniture DIY you will ever do.